B2B focused companies cannot survive without lead generation, it is one of the major expirations. B2B marketing and sales teams’ primary interest to have as much prospects in the sales pipeline as possible and convert them to sale relatively short term. B2B corporations offer solutions to other companies and they are using a different marketing toolkit than those who are focusing on B2C. 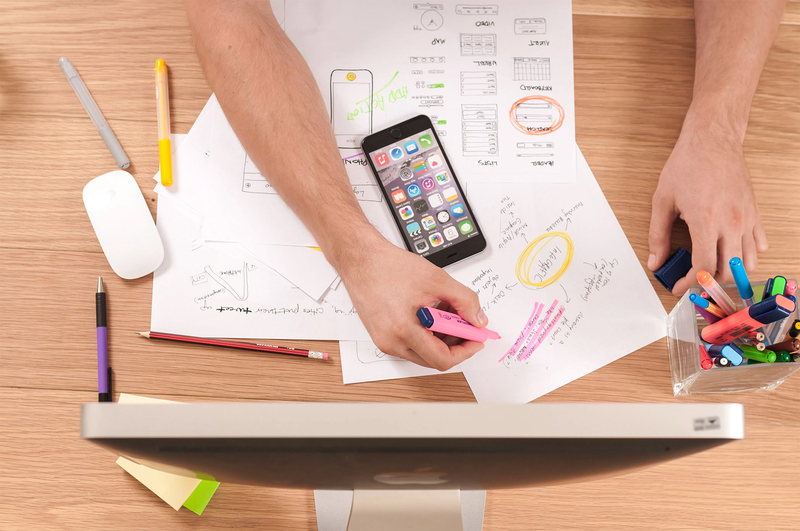 There are several differences if you are thinking about corporate sales processes, but the most significant change is absolutely the necessity of collaboration between sales and marketing teams. In company level usually we speak of bigger investments. Business decisions require more research and information gathering. It can even happen with well prepared and implemented marketing campaigns that sales cannot convert them to deals successfully. Main reason is either sales reps do not have enough information from the campaign or he/she cannot see data about prospect needs, interests. In a perfectly synced operation sales reps know all the details about prospects which help them to contact potential customers with relevant topics at the right time. For example they do not start introducing the entire product from scratch if the prospect has already downloaded e-books from the website, subscribed to the newsletter for a while or more interested in prices. Most of the time potential customers accept sales meetings in case they see sales reps are knowledgable and up-to-date about their requirements. It is only possible if the prospect goes through the lead nurturing process with the company. We help potential prospects in different channels to receive enough information based on their interest and make the deal. We can make this happen with a marketing automation tool with features such as personalized newsletters, 1:1 customer journey through the sales path for one goal: prospects vote on our solution because we help them accordingly on every stepping stone of the decision making process. Collect necessary data right from the start. It is important to express corporate identity from the first meet, because it is easy to lose prospects in early stages with a poorly structured landing page. Make different variations with a couple of clicks and measure their efficiency with Pardot. You can generate leads without resources with the form based on the site meanwhile you make a profile of the interested prospect with the right questions to give valuable data to the hands of sales reps. Sales team can offer the best proposal for the potential customer based on that. Of course you can track prospects coming from paid ads (like Google AdWords) to see real ROI of these investments and spend budget only on the right channels in the future. Without a question marketing should work most fluently online, prospects will only open personalized messages from those hundreds or thousands of emails which are landing in their inbox. Using one of the 36 templates you can save time or modify them entirely to match your brand sending emails scheduled and automated. Branded mails should arrive to inboxes using different marketing strategies separated by customers or industries. Analyize communication in multiple ways: first your email should avoid SPAM folder as prospects can delete it automatically or read it later when it is outdated. Your message will be read in multiple platforms in multiple screen sizes, be prepared and get your message compatible with the most popular systems. 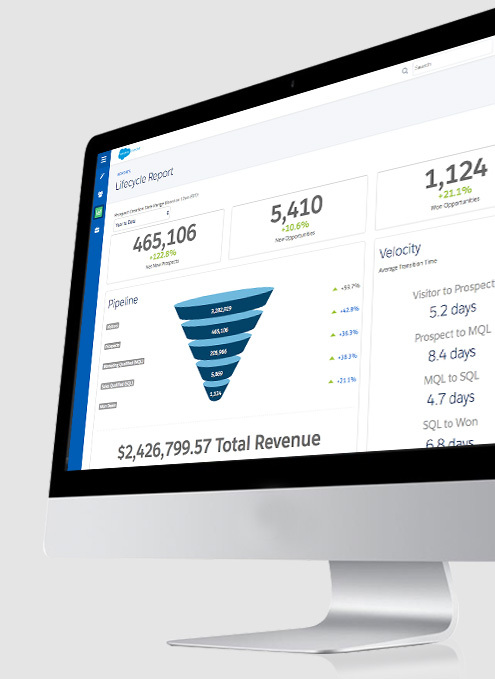 Measure ROI with intelligent reports. 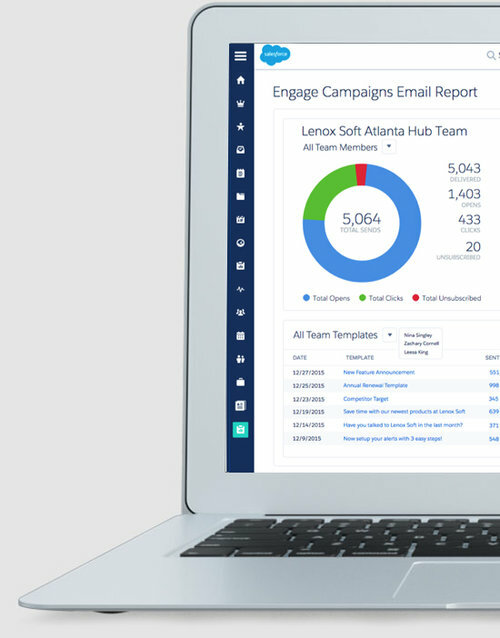 Data was never as important as today, you can get groundbreaking insights to your marketing and sales processes with sophisticated reporting solutions. Make decision in minutes about allocation of your budget and resources as you can clearly see the sources and marketing campaigns which are generating income. As a next step you can measure when progress is stuck and why. Optimize processes and strategies based on this information. Keep a look on ads to see the click, interest and negotiation per appearance rate. Make different decisions based on this matrix without analyzing outdated, fragmented reports. Empower sales with the most modern tools. Referring to a Forrester report companies with active lead nurturing process can generate 50% more sales ready leads – with 33% less cost. Of course this process can be automated, you can communicate with target groups without marketing and sales reps’ action meanwhile the staff can work on more complex tasks. Perks of automation is focusing on inactive prospects as well and you can contact them multiple times a year before they choose a competing company. Lead distribution between marketing and sales groups gets escalated attention. It does not worth to transfer leads to sales too early and vice versa: do not keep high potential leads with marketing; score, prioritize as per given characteristics and assign them to sales reps automatically. Customers will be happy because they will get the best resources for their case, on the other side workload of your sales team will be consistent as well. Get a full 360 degree view of leads as per what was the most interesting section of your landing page or downloaded documents from company systems and pages. Sales receive real time alerts so they can dial the prospect to make the deal when the customer is focused on your product. Make automated email campaigns in minutes without help from IT department! Lead your prospects through a 1:1 marketing experience which is continuously adapting to the interest of potential customers during the information gathering process. Find some short, but extremely useful demos about Pardot B2B marketing automation, lead nurturing as well as connection between Salesforce and Pardot. Of course the main goal is converting prospects to sale, so leverage on functions which are helping marketing and sales teamwork.